From artist Stephan Martiniere! 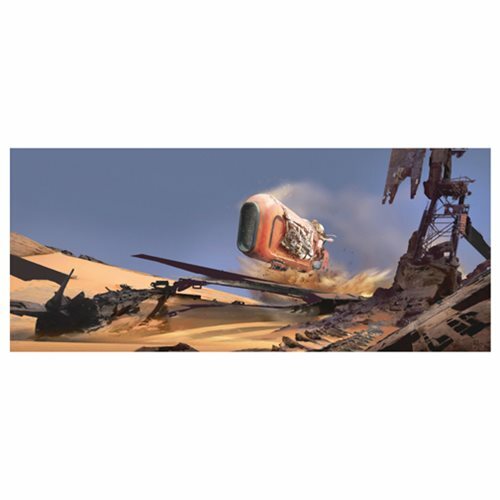 This Star Wars: The Force Awakens Speeder Whip by Stephan Martiniere Canvas Giclee Art Print shows Rey riding her desert speeder into town. A limited edition of 295 hand-numbered pieces, this giclee comes signed by the artist and measures 30 1/2-inches wide x 12 3/4-inches tall.